Now in most regions there is an acute problem of shortage of places in children's gardens. Especially often faced with this problem, residents of large cities such as Saint Petersburg. And in order for the child to communicate with peers and mother got the opportunity to go to work, you need to know how to act to improve their chances of obtaining permits in a kindergarten. - a document confirming that the child lives in Saint-Petersburg. Take the opportunity to enrol your child in kindergarten through the Internet. To do this, go to the portal "state Services in St. Petersburg". On the main page, click on the menu item "Register of public services". You will see a list of various fields covering electronic public services. Select "Education" there you will see a table where you have to click in the "Enrollment of children in public kindergarten", the column "service Provision in electronic format." Read the description of the proposed services and instruction for filling the questionnaire. Then click on "complete e-statements." Specify all the necessary information with your child, you can also specify your preferences, if you want to send the child in a particular daycare. If you have the right to benefits for child to enroll in kindergarten, a note in the relevant paragraphs. After that, your application will be sent to the Department of education in your area. If you filled in everything correctly, you will get the option to download the notification application. Save it to your computer as a supporting document. Within a month you an e-mail with a special registration number in the queue for a place in kindergarten. With it, you'll be able to check whether your application. On the page dedicated to the enrollment in kindergartens, click on the link "View application status". Enter your surname, name, patronymic and code of the application and you will learn a submission is accepted or not. If the application is approved, prepare additional documents. Get in a children's polyclinic, the certificate on the health status of a son or daughter and also take in the management of the company an extract from the house register from the place of residence of the child. Come to the education Department of your district with all documents. Already there they should give you a start in preschool, subject to availability. If you are unable to submit an application for the provision of places in kindergarten for the Internet site, come to the Department of education in your area personally. This can be done when your baby reaches two months. Maternity leave ends, and the young mother decides to go to work. So baby it's time to attach in the children's garden. In recent years Saint-Petersburg has opened more than 10,000 new pre-school institutions. Also, since 2009, changed the procedure of enrolling a child in kindergarten. Find the address of the district Commission on picking preschools. This can be done via the Internet, for example on the portal of Official Petersburg, or at the nearest kindergarten. Call the telephone number of the Commission in your area and confirm appointment times. They can vary depending on the number of visitors. During periods of large influx of introduced additional opening hours. Collect medical documentation. It is necessary to inform the district physician that the fall you plan to give the baby to the nursery. The doctor will give direction to the necessary tests and a list of professionals required to complete. Review the reviews about nursery schools, which plan to get. Better to stay on 3-4 options. When choosing one institution there is a risk to remain without a designated group it may already be typed. If the child has specific characteristics, examine where and what remedial kindergartens in your area. On the day of the reception, capturing all the documents go to the Commission. There will tell you, what a garden it is better to go to a child considering its features and condition. After the write statement will give you direction to the selected institution, or a certificate stating that you took the statement and registered the child in the database. If your work involves travel or the end time later than the closure of the garden, and to pick up the kid no one, must inform the Commission. In each district of St. Petersburg there are kindergartens with groups working around the clock. The entry for kindergarten begins March 1. In June there is a "very kind", if possible. Think about the garden as early as possible. Some mothers believe that it is better to apply in the beginning of pregnancy – then the necessary time for you to accurately find a place! Make a folder where you collect all the documents – in the process of placing a child in kindergarten will be very much. Be very careful with the medical certificate. Caring parents in advance think about what age is best to send their child to kindergarten. So by this time your child has a place in child care, the focus should be the question, when and where to apply for a place in kindergarten. Each year, employees of departments of education define a set of age groups in each pre-school institution for the next academic year. Based on these data, heads of educational establishments for children are set in these groups. Birth certificate of the child, the parent's passport, medical records, and help the child, the Internet. To child enrolled in the group a new set for the next academic year in a timely manner from the beginning to the end of the current academic year - submit application and documents for kindergarten. Fitting is carried out throughout the beginning of the academic year. The local management of education or on his official website learn about current municipal institutions of preschool education. Make your choice for the kindergarten where you'd like to drive the child. Parents applying for a place, have the right to specify three kindergartens. Choose kindergartens that will score the groups according to the age of the child at the beginning of the work of the group. Keep in mind that after consideration of the application a situation may arise when the child is sent immediately to the three gardens. He was sent to preschool, which is specified in the application first, i.e. with a smaller sequence number. In further documents submitted to the kindergarten, in which I would like to get in the first place, determine the priority order between the gardens. For a place in one of the selected children's institutions stand in the queue. 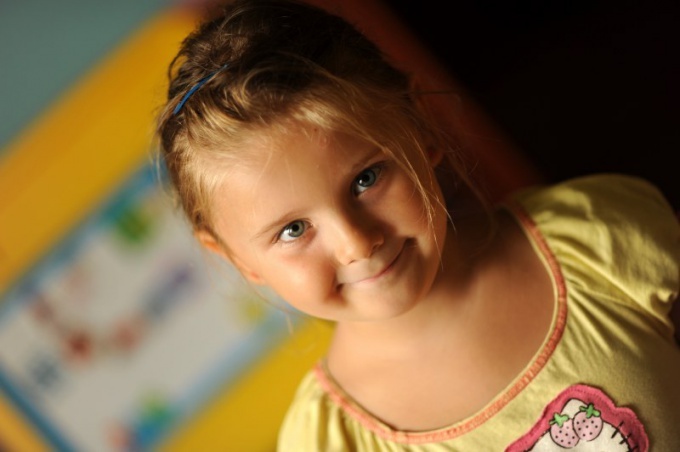 First, register the child in the municipal database on children in need in visiting preschools – MBD. To do this, submit an application. Sign up in MWD on the official Internet resource on provision of municipal services in the sphere of preschool education by means of electronic services. In the absence of the ability to register electronically, make the entry directly in the center of providing the state and municipal services for enrollment of children in preschool educational institutions. Regardless of how you submitted the application on admission of a child to a place in municipal preschool educational institution, be sure to confirm and submit the documents required for this orphanage. You will be given a confirmation of application. Regularly check the status of their applications and follow the information on the child's place in the queue. When reporting placement of a child in kindergarten will visit the proposed place and confirm your intention to enroll your child in this garden. Enrollment is subject to all required and submitted documents to the kindergarten. School year according to the Russian legislation starts on 1 September. Along with state pre-school institutions, there are also variable forms of preschool education: group short-term stay, pre-school groups in municipal educational institutions, non-state preschool educational institutions, preschool groups in non-state educational institutions. In kindergartens there are groups Wellness or compensating direction. If the child needs a visit to such groups, be sure to find out which gardens they are formed, provide the kindergartens and the corresponding group in the application.